How many times have you typed in to Google ‘narrow sofa bed’ or ‘space saving sofa bed’. And almost always what pops up won’t fit in to your space, or is even too big to fit through the front door. You may have been looking for a slim sofa bed for a long while, and we have one for you. In fact, not one or two but eight different sofa beds that can all be slim. How can a slim sofa bed Still be beautiful? Beauty is in the eye of the beholder, and this is why we have several different designs. You may like all of our models, but most have a select few favourites. (My favourites are Vasca and Duette, but don’t tell anyone). Perhaps you like them more because of how they look or maybe because of how they feel to sit on. But yes we know this post is also about them being slim at the same time as being beautiful. So every sofa bed that we have in our range, can now come with ultra slim arms or no arms at all. Just like our Play Model already does. Yes they still look great and even better they fit into that tight space that you really wanted to fit a sofa bed into, without having to compromise on style. 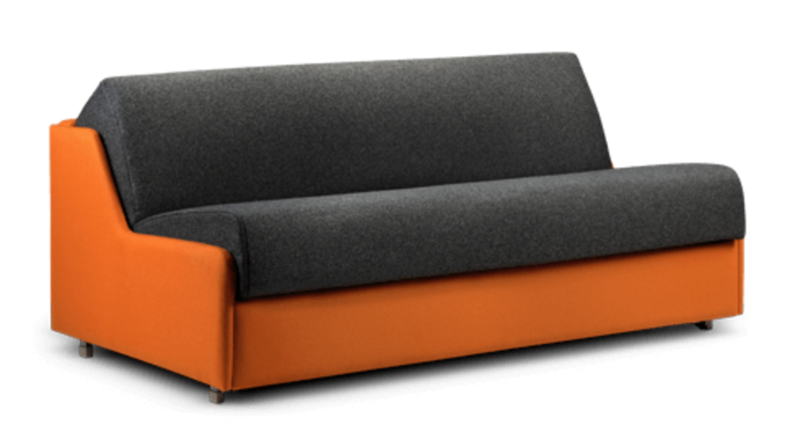 A slim sofa bed with an ultra slim arm on the left hand side and the ‘no arm’ option on the right hand side. How do the ULTRA slim arms work? Each sofa bed style can come in five different sizes – a Chair (Single Bed), a 2.5 – Seater (Small Double Bed), a 3 – Seater (Double Bed), a 4 – Seater (King Bed) and a 5 – Seater (Super King Bed). No matter what size you choose, each sofa bed can then come with a variety of arm options. Duette for example can come with a standard arm, a shaped arm or a storage arm. But all three of those options might make the overall sofa a little too wide for your space. So we have now introduced a fourth arm – the ultra slim arm. Quite simply, we reduce the width of the standard arm to about 2cm so they are super super slim! You might find that you can then fit a larger bed width into you smaller space, just by adding on the ultra slim arms. The slim arms still resemble the visual look of a standard arm but they are only 2cm wide. This is as small as we can make them. How do the no arms work? Just like with the ultra slim arms, the no arm option has been added to the range of arms on each sofa bed so that you can fit the model you really love into your space. You may find that you can actually up the size of sofa bed and in turn bed side just by removing the arms. We still need to add something onto the sides of the sofa bed so that you don’t see through to the mechanism. This is in the form of a 2cm wide panel that follows the shape of the seat. So the sofa appears to have no arms and doesn’t. Can you get the sofa bed through my front door? Well the answer to that is yes, of course we can. All of our sofa beds are delivered in sections and assembled on site for you by our lovely delivery team. If you fancy assembling it yourself, just change the ‘Home Installation’ to ‘Standard Delivery’ and we shall deliver it straight to your door instead. If you still need a little more help with measuring for a slim sofa bed, we have a guide on how to measure them here. 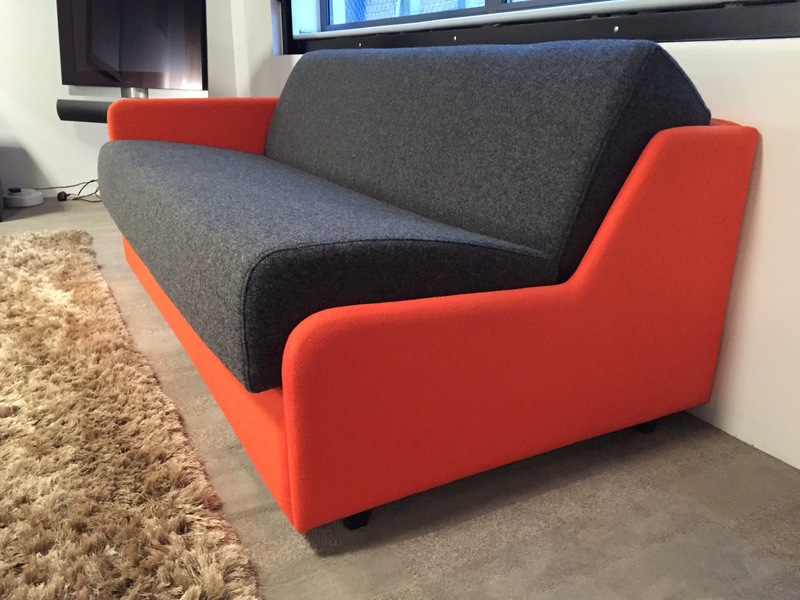 Otherwise you can really simply add either the ultra slim arms or the no arm option to your sofa bed in our Design & Order section on the website. Next Next post: Dining Table Inspiration -Round or Square?